In an interview with GameSpot, Eiji Aonuma was asked if the team that worked on portable entries, such as the recently released Legend of Zelda: Triforce Heroes, was separate from the team working on other Zelda projects. 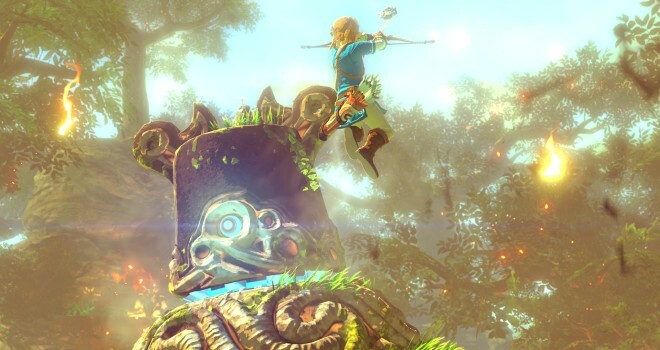 Aonuma replied by stating that the upcoming Zelda for Wii U was not delayed in any way by the recent 3DS entry. Its great to hear that both Zelda for Wii U was not delayed. With rumors and speculation going around about how Zelda for Wii U could’ve been moved to the NX its also good to hear that it is, in fact, still coming to Wii U. Now we have to wonder if the new Zelda entry will be a Wii U exclusive or if it will be a cross-generation title being on both the Wii U and the upcoming NX. What are your thoughts on this? Are you looking forward to the new Zelda? Do you think the new entry will come to NX? Let us know in the comments below!